As the last post mentioned, creating a user interface for Order Entry poses a challenge. There are a significant number of fields that have to be set and adjusted when writing a complete order. At the same time, users want an order entry system that is quick to use. 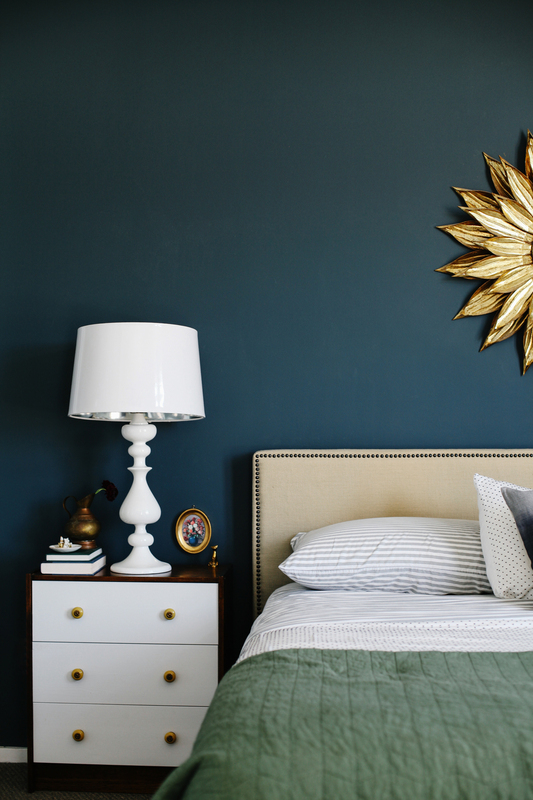 These two priorities of detailed customization and speed often appear at odds with each other. As mentioned in Post 1, this series will not address Order Templates / Protocols / Orders sets initially. This post is designed not to be a detailed analysis, but provide quick overview of the field, especially targeted at non-clinicians. A clinician typically has to select each component of a medication manually. A separate field for Drug Name / Dosage / Route / Frequency / Duration / Refills / Priority / Etc / Etc. Below are some screenshots from the internet showing how this has been done to date in different systems. 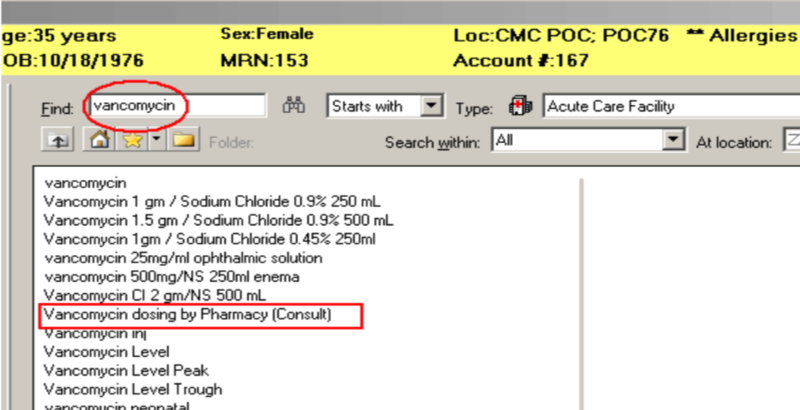 Each screenshot shows the many fields available to adjust for a single medication order. These order screens typically get pretty crazy! Below is an example of a ‘smart’ manual detailed order entry UX. I call it is ‘smart’ because unlike many order entry modules, this one actually lists for each customizable field the typical answers that are accepted for that medication. These screenshots are from the Veterans Affairs CPOE system, which is generally considered one of the most well liked. Another example, this one published in JAMA 2009. 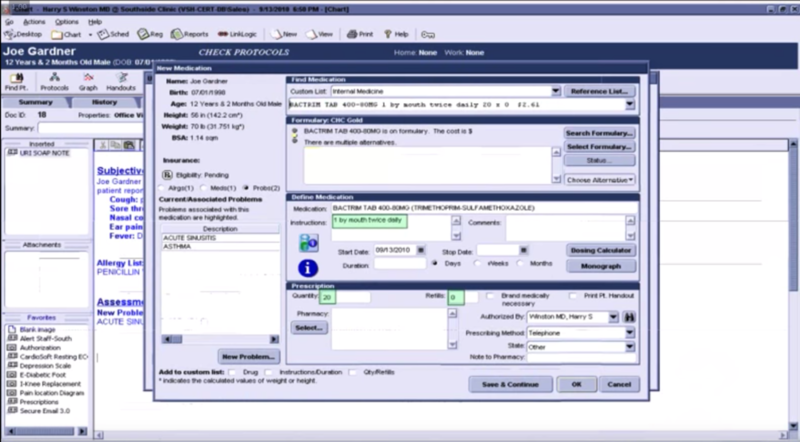 Endless customizable fields are not limited to medication orders. Below are a few screenshots of other order types. We are now halfway done this post. 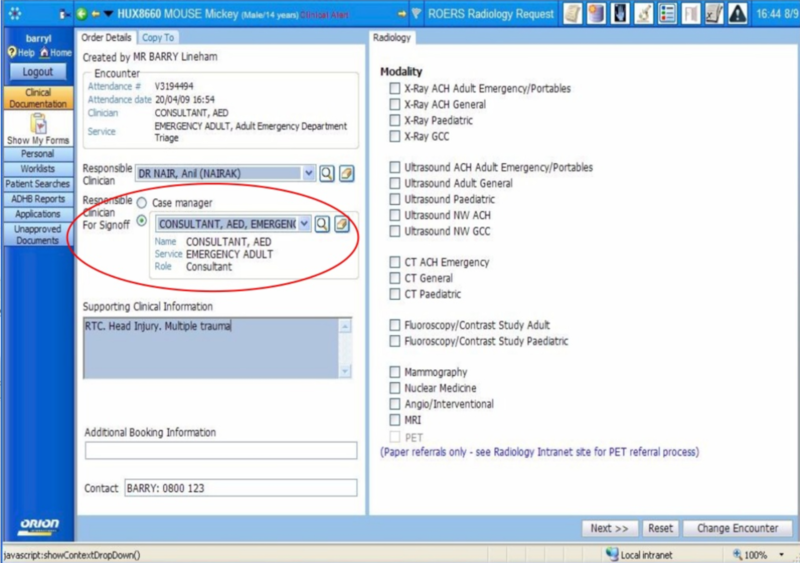 As you can see, typical EHR user interface design is rather overwhelming. Don’t forget a single patient often requires multiple medications and other tests to be ordered in a single visit. Is it any wonder physicians typically find writing their order using pen/paper is faster? There are also a lot of safety concerns given the number of changeable parts. Some well documented cases exist where users accidentally chose the wrong dose because the units between medications changed without the user realizing it. In other cases the wrong route was selected. Clarity and consistency in UX design is particularly important here. 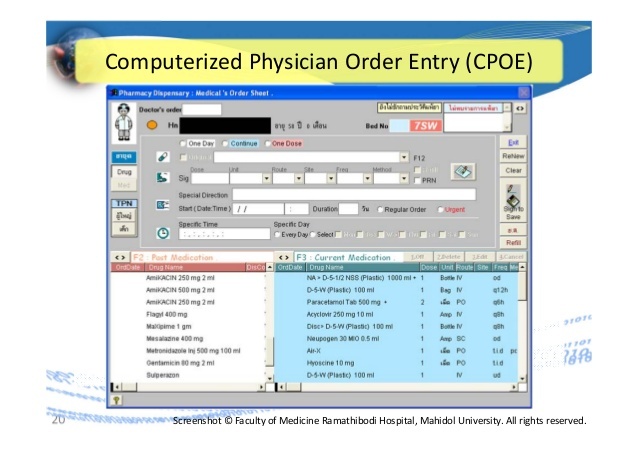 In order to help speed up the process of CPOE (Computerized Physician Order Entry), the concept of ‘order sentences’ was developed. 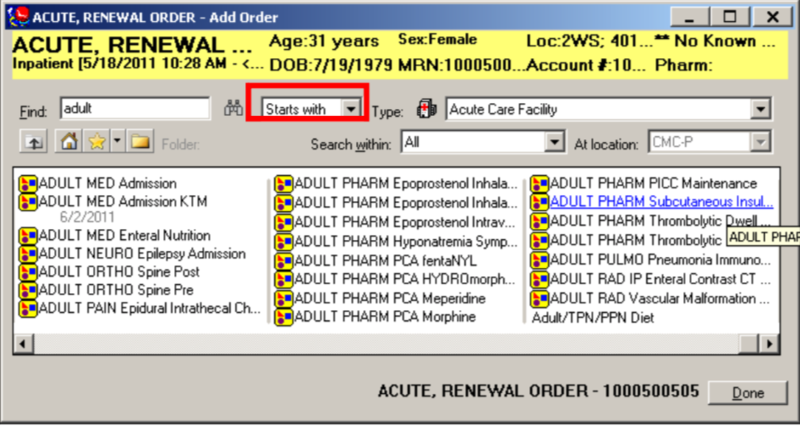 The Order Sentence is a work-around where instead of having to manually enter all the details about the medication, the user is able to search for a medication and be presented with a series of pre-written ‘order sentences’ to choose from. 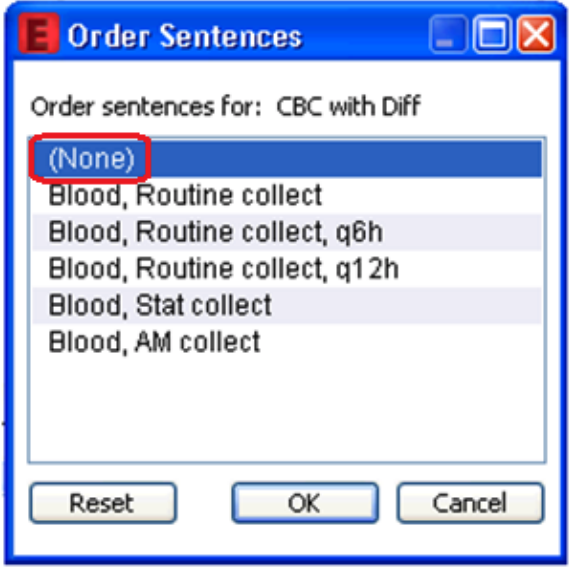 The list of pre-written order sentences is ideally generated based on the most common order sentences required in the EHR. For medications with only a few very common options, this works well. Order sentences often can look similar when they are actually very different. This is dangerous. As you can see, typical order sentence displays are not context aware. Here we see IV dosing, Opthalmic solutions, levels, and consults all when searching the same term. (1) look at how long that horizontal scroll bar is! (2) Is the patient non-pregnant (as the first search result shows, it says this is a 31 year old female). Of the 23 orders listed below eleven of them (pretty much 50%) are entirely offscreen. Is this fast? Is this safe? Does this make any sense? 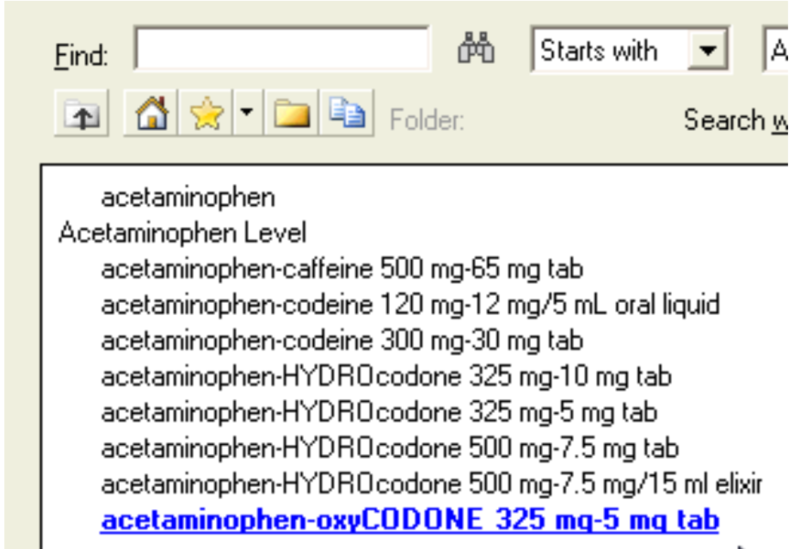 When an initial search returns the results of each order sentence, it is difficult to quickly identify drugs by name, because there are so many items to skim through. The top box here lists a total of 15 items. However, because the same drug is repeated in multiple order sentences, it displays only 5 unique medications. It is for this reason, that in most cases I favour the initial [incomplete] search result to show only the medication name, not the order sentence options. Perhaps if the total number of results gets below a certain amount (lets say 12), suggesting we have a ‘medication match’ to the search result then the system can display the specific order sentences. But displaying all sentences by default on search result does not seem to work well. Long lists of similar order sentences are not just for meds. Here is an example of someone trying to place a simple left wrist x-ray. They are bombarded with multiple pages of order sentence results to scroll through. 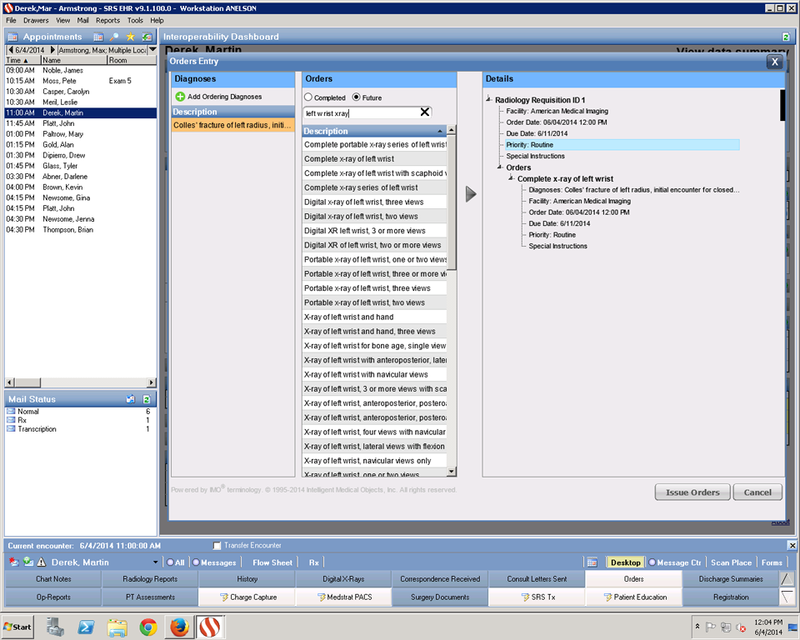 In the end, the order sentence may populate a detailed order edit box, as seen below. This means that one’s vision is first in the order sentence. Then they shift their vision to the sentence split among multiple different UX boxes. This frequent shifting of the visual interface is asking for an error or mistake to happen. And last (for now), who writes the order sentences has a big impact on what is seen. Here are two different order sentences from two different hospital training manuals. 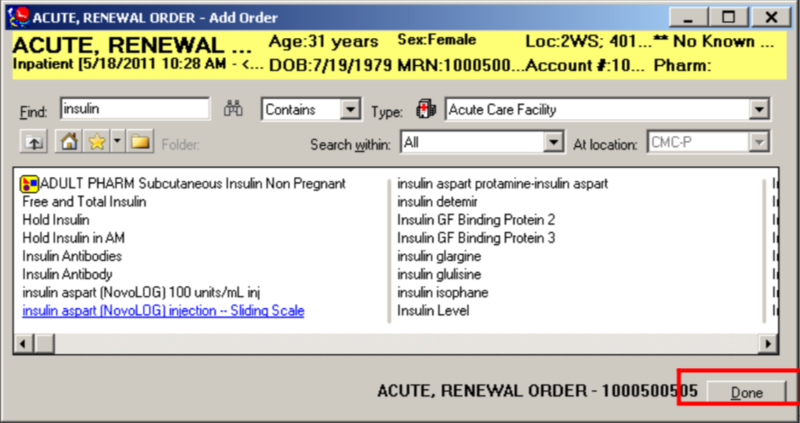 They are so very different, it is hard to know which order sentences to include in one’s EHR order sentence list. Clinicians may choose order sentences that are close, but not exactly what they are looking for. 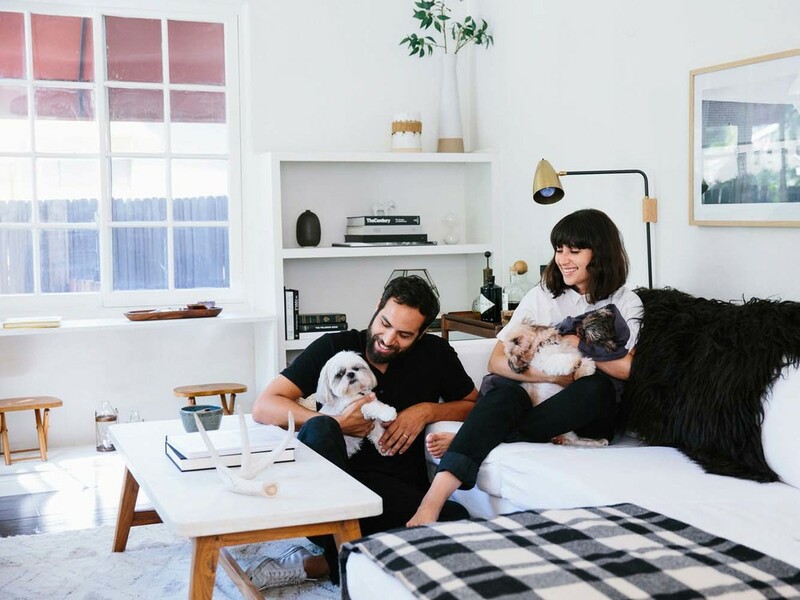 Encouraging less than perfect care. 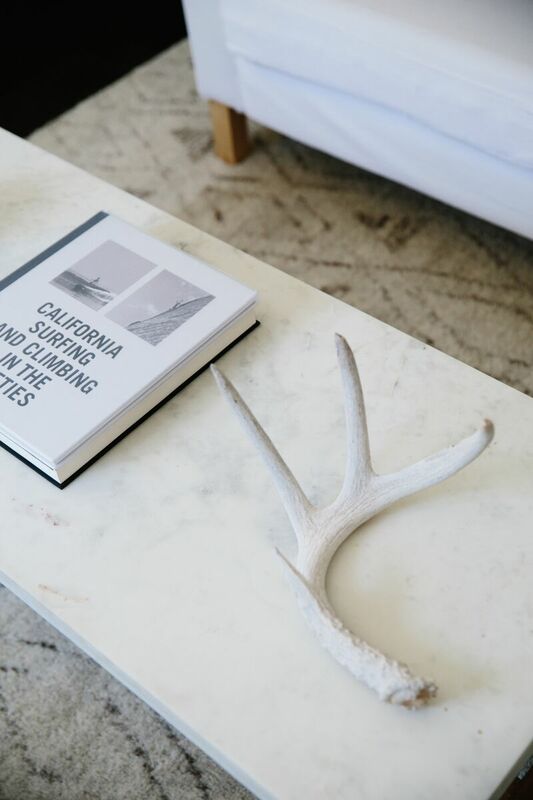 There may be a lot of order sentences to choose from, requiring the clinician to read through a long list of different order sentences, only to discover that non are what they are looking for, and then to have to start afresh with a custom order. A clinician may not fully read an order sentence and submit orders they did not intend. A clinician may select an order sentence that partially meets their criteria with the intention of changing the parts that are not correct. However, if interrupted midway through they may forget to change a critical part of the order, and submit and order in error. Order sentences may not be well written, and encourage non-guideline based care. The traditional use and implementation of order sentences does not achieve the desired outcome of safe & easy medication ordering. Is reading a box of order sentences (as below for metformin) really the fasted way to enter this order? Is it a format that will work well on mobile or tablet? Is it an approach that takes into consideration the many different types of patients in the hospital? Is it an approach that uses the latest in clinical decision support to help guide the user to the right decision? Does it help solve clinician’s questions as they place the order? Is it an approach that makes training new users on the system fast? Is it an approach that is level’s up the skills and makes it easy for nurses or clinical officers in rural villages to place orders with decision support rules? I think the answer to all these questions is No. None of the screenshots on this page look like we have fully ‘optimal the user interface’ in order entry in EHRs. More innovation in this critical part of the EHR is required. A critical part of modern workflows involves the ability to order from mobile and tablets. If the above user interface ‘design principles’ were transferred to mobile and tablet, ordering medications would be a big headache. 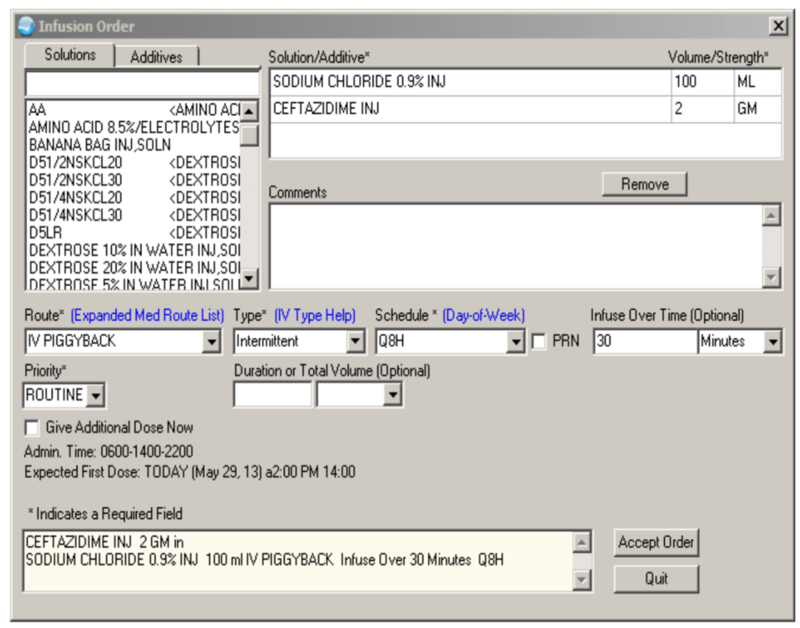 This post - Looked at typical detailed order entry and order sentences as often deployed in clinical systems. Next - I’d like to suggest a heuristic on how to think about designing order entry tools for EHRs.